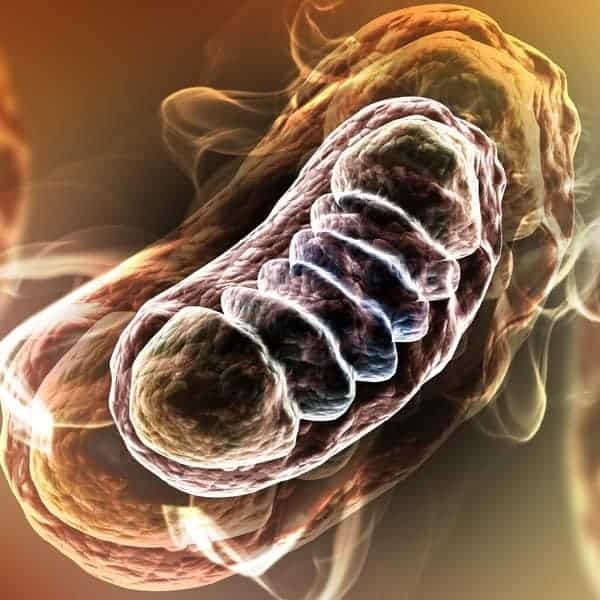 One of the most rapidly evolving fields in medicine is mitochondrial medicine. Mitochondria are involved in much more than just energy production. These organelles are now understood to be essential in signal transduction, apoptosis and ageing, hormone receptor function, stem cell activation and many more critical physiological functions. Any abnormality in mitochondrial number or function will have profound effects on your patient’s health. Many of the most commonly presenting conditions that you see are becoming recognised as having insufficient or poorly functioning mitochondria as a critical component. Mitochondria have an important role in steroid hormone function. Receptors for many hormones including glucocorticoids, oestrogens and thyroid hormones have been detected on mitochondrial membranes. 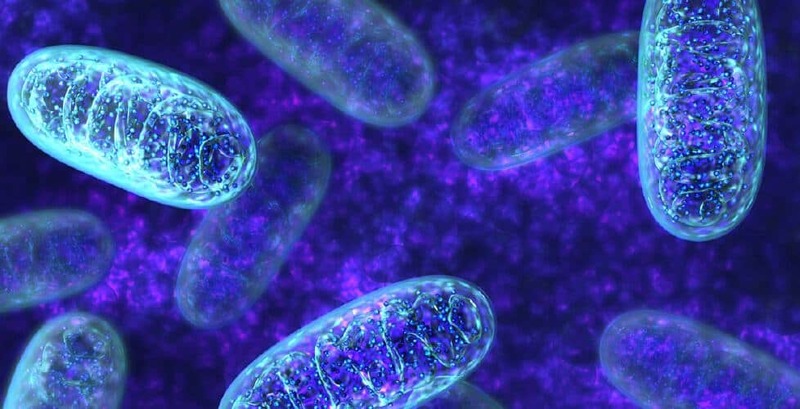 Mitochondria contain their own genome which contain nucleotide sequences that are very similar to known hormone-responsive elements and which appear to interact with receptors to confer hormone-dependent activation. Thyroid hormone for example, is especially dependent on mitochondrial activation. The mitochondrial component of your patient’s conditions will become standard of care and you can expect to see a lot more in the future about mitochondria and their role in multiple body systems and processes. The Mitochondrial Disorders Masterclass panel of presenters are all passionate clinicians with considerable expertise in their mitochondrial-related topics. Dr Geo Espinosa N.D., L.Ac, C.N.S., RH (AHG) is a renowned naturopathic and functional medicine doctor, recognised as an authority in mitochondrial disorders, urology and men’s health. 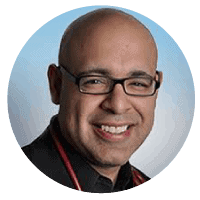 Dr. Geo is the founder and director of the Integrative Urology Center at New York University Langone Medical Center. 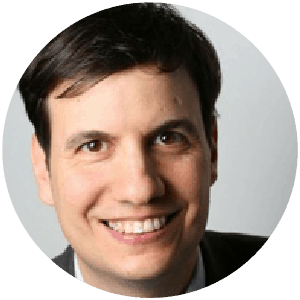 Before joining NYU, Dr. Espinosa was a clinician, researcher and director of clinical trials at the Center for Holistic Urology at Columbia University Medical Center. Dr Sarah Myhill is a British doctor running a specialist myalgic encephalitis clinic in Knighton, Wales, United Kingdom. For 17 years she was the Honorary Secretary of the British Society for Ecological Medicine and, together with Dr John McLaren-Howard and Dr Norman Booth, she co-authored three scientific papers studying the link between CFS/ME and mitochondrial dysfunction. Dr Richard Lord PhD received his doctorate in Biochemistry from the University of Texas at Austin in 1970 with studies of methods for protein tertiary structure measurements. Dr. Lord served as Professor and Chairman of Biochemistry at Life College for 10 years where he concurrently taught Advanced Clinical Nutrition and worked as part of the team that put in place a new undergraduate degree program in nutrition. His publications include articles in professional journals as well as books and laboratory manuals for college curricula including the text, Laboratory Evaluations for Integrative and Functional Medicine, used in this course. Prof. Kerry Bone BSc (Hons) is the co-founder and innovation driver at MediHerb, where he serves as Director of Research and Development. Kerry is co-author of more than 30 scientific papers on herbal research, including original research and systematic reviews. He currently serves as the only Australian member of the editorial board of the journal Phytomedicine, the top herbal research journal in the world, and is also on the advisory board of the American Botanical Council. He has also written or co-written six popular textbooks on herbal medicine, including his latest with Simon Mills, the long-awaited second edition of Principles and Practice of Phytotherapy, which was awarded the 2013 James A. Duke Excellence in Botanical Literature Award by the American Botanical Council. 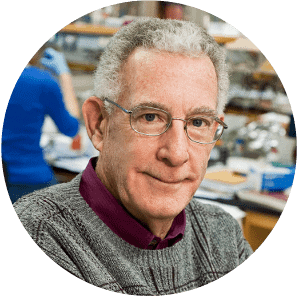 Dr Richard Lord PhD received his doctorate in Biochemistry from the University of Texas at Austin in 1970 with studies of methods for protein tertiary structure measurements. From 1970 to 1973 he was an NIH postdoctoral fellow at the University of Arizona, conducting studies of the mechanism of insulin self association. From there he moved to a staff fellowship at NIH in Bethesda, MD to work in the Institute of Arthritis and Metabolic Disease. 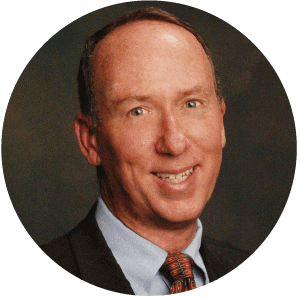 Dr. Lord served as Professor and Chairman of Biochemistry at Life College for 10 years where he concurrently taught Advanced Clinical Nutrition and worked as part of the team that put in place a new undergraduate degree program in nutrition. HE has also has served as Clinical Laboratory Director at various facilities and has developed methods for analysis of trace elements, fatty acids, and organic acids. He is director of the Department of Science and Education at Metametrix Clinical Laboratory. He joined Metametrix Clinical Laboratory in 1989, where he has served as vice president of research and development and laboratory director. 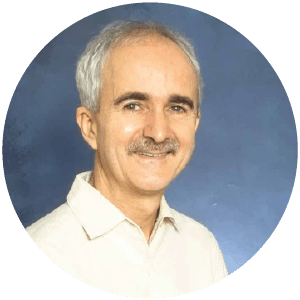 His publications include articles in professional journals as well as books and laboratory manuals for college curricula including the text, Laboratory Evaluations for Integrative and Functional Medicine, used in this course. Dr Thomas Seyfried received his PhD in Genetics and Biochemistry from the University of Illinois, Urbana, in 1976. He did his undergraduate work at the University of New England, where he recently received the distinguished Alumni Achievement Award. He also holds a Master’s degree in Genetics from Illinois State University. Thomas Seyfried served with distinction in the United States Army’s First Cavalry Division during the Vietnam War and received numerous medals and commendations. He was a Postdoctoral Fellow in the Department of Neurology at the Yale University School of Medicine and then served on the faculty as an Assistant Professor in Neurology. Other awards and honors have come from such diverse organisations as the American Oil Chemists Society, the National Institutes of Health, The American Society for Neurochemistry, the Ketogenic Diet Special Interest Group of the American Epilepsy Society, the Academy of Comprehensive and Complementary Medicine, and the American College of Nutrition. Dr. Seyfried previously served as Chair, Scientific Advisory Committee for the National Tay-Sachs and Allied Diseases Association and presently serves on several editorial boards including those for Nutrition & Metabolism, Neurochemical Research, the Journal of Lipid Research, and ASN Neuro, where he is a Senior Editor. Dr. Seyfried has over 150 peer-reviewed publications and is the author of the book, Cancer as a Metabolic Disease: On the Origin, Management, and Prevention of Cancer. Geo is a licensed naturopathic doctor, licensed acupuncturist, a certified nutrition specialist and a registered herbalist. He lectures internationally and has published numerous peer-reviewed scientific journals related to integrative management of prostate conditions and urological disorders. Dr. Espinosa is an author of the naturopathic entry in 1000 Cures for 200 ailments, by Harper Collins; March 2007 and “Prostate Cancer – Nutrients that may slow its progression,” Food and Nutrients in Disease Management – Maryland: Cadmus Publishing, 2009. Dr Espinosa also serves on the editorial board of the Natural Medicine Journal. Dr Sarah Myhill is a British doctor running a specialist myalgic encephalitis clinic in Knighton, Powys LD7 1SL, Wales, United Kingdom. Sarah qualified as a doctor from the Middlesex Hospital Medical School in 1981 and went straight into NHS General Practice working there for 20 years. 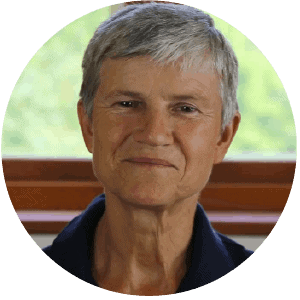 Dr Myhill has treated in excess of 10,000 chronic fatigue syndrome/myalgic encephalitis sufferers over her 30-year career. Dr Myhill’s view is that myalgic encephalomyelitis/chronic fatigue syndrome is characterised by a cellular metabolic mitochondrial dysfunction and has published several studies. For 17 years she was the Honorary Secretary of the British Society for Ecological Medicine and, together with Dr John McLaren-Howard and Dr Norman Booth, she co-authored three scientific papers studying the link between CFS/ME and mitochondrial dysfunction. Prof. Kerry Bone BSc (Hons) is the co-founder and innovation driver at MediHerb, where he serves as Director of Research and Development. In 2016 MediHerb was awarded the American Botanical Council’s (ABC’s) Varro E. Tyler Award for excellence in Phytomedicinal Research. As part of his educational role, Kerry is Principal of the Australian College of Phytotherapy and also Adjunct Professor at New York Chiropractic College, providing input into their postgraduate applied nutrition program. He also founded the successful Masters of Health Science (Herbal Medicine) course at the University of New England in 2004, and served there as Associate Professor from 2004 to 2012. Kerry is co-author of more than 30 scientific papers on herbal research, including original research and systematic reviews. He currently serves as the only Australian member of the editorial board of the journal Phytomedicine, the top herbal research journal in the world, and is also on the advisory board of the ABC. He has also written or co-written six popular textbooks on herbal medicine, including his latest with Simon Mills, the long-awaited second edition of Principles and Practice of Phytotherapy, which was awarded the 2013 James A. Duke Excellence in Botanical Literature Award by the ABC. Other key texts include The Essential Guide to Herbal Safety (also awarded the James A Duke Award in 2006), A Clinical Guide to Blending Liquid Herbs and The Ultimate Herbal Compendium. These texts are widely used at naturopathic and medical colleges throughout the world.